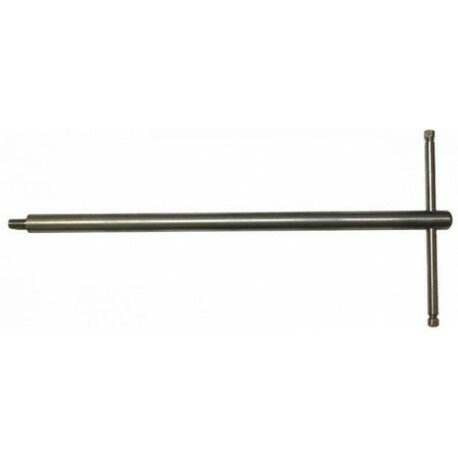 This T-Handle is for use with our Uni-Throaters, Uni-Neckers, and Uni-Throater/Neckers, up to .40 Cal. / 10.16mm. It is made of blued steel, 8.5" (~216mm) long. The sliding handle allows for operation without having to remove the action or stock from the barrel.